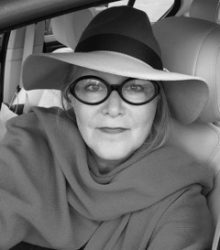 Toma Clark Haines is The Antiques Diva – Chief Executive Diva of The Antiques Diva & Co European Tours. An American who has lived abroad since 2000, it has been said that Clark Haines is conquering countries faster than Napoleon. Working with a team of locally-based agents, The Antiques Diva & Co has become Europe’s largest antiques touring company, offering customized antiques buying tours on 3 continents and in 15 countries in Europe, Asia and America to both tourists (mere shopping mortals) and the trade (antique dealers and interior designers). Her favorite part of her job is stocking client’s stores across the pond and creating new trends in home fashion. When this stylemaker is not on a buying tour Clark Haines is also a freelance travel and design writer, an international public speaker, an interior decorator and social media guru. She is a champagne connoisseur, a vintage Chanel addict and her hobbies include driving fast cars and gourmet cooking. Traveling extensively for work, she divides her time between her home in Berlin, Germany, and traveling in each of her company’s tour countries. Her greatest challenge in life is remembering when she wakes up each morning whether to greet the day with a Buongiorno, Bonjour, Guten Tag or simply Good Day! 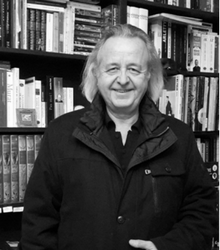 Jean-Pierre manages our day-to-day operations and is often the first contact clients have with The Antiques Diva when they make an inquiry about tours or our buying services. Paris born and educated with degrees in Management and Political Science from Université Paris-Dauphine, JPP has traveled the world for business and pleasure. A true Renaissance man, with his Parisienne wife and Paris Diva Guide Danielle, he has lived and worked in Canada, with frequent trips to the US in fields including ranching, real estate, oil and gas, mining and film distribution. 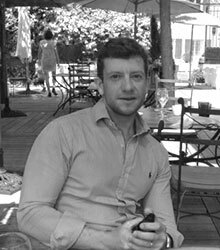 Having returned permanently to Paris, Jean-Pierre is a welcome newcomer to The Antiques Diva team as he works with clients and standardizes processes. 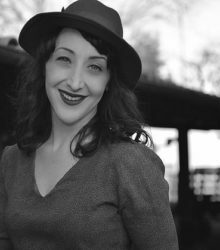 Danielle Pelletier is one of our Paris Diva Guides. She was born and raised in Paris and has spent her entire life going to the famous Paris Flea Market. And while she’s always loved antiques, she graduated with a law degree and also worked as a journalist. 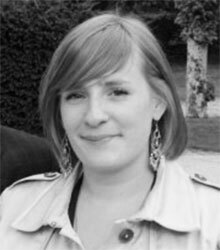 Having lived internationally as well in both Canada as well as Switzerland, Danielle thinks with a global perspective understanding both our clients as well as the local culture in France. Whether she’s leading an Antiques Diva Tour or simply shopping for herself, you’ll find her each weekend at the Paris Flea Market. As a result she has many friends who are dealers – and that inside connection gives our Antiques Diva clients an edge when shopping the fleas. Perhaps harking back to her days as a lawyer, Danielle’s top skill set is her art of negotiating. Danielle is by nature a collector and her home is beautifully decorated with pieces picked up over the years at the Paris Flea Market. Danielle’s passion is antique perfume bottles – she loves Baccarat as well as Marcel Franck who was the largest perfume bottles maker until the 1990’s. 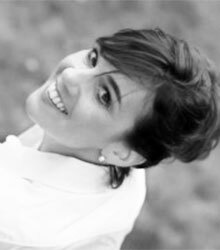 Jennifer Balmadier is one of our Paris Diva Guides. She is a native to Boston, however she traveled to France most of her life helping her parents shop for their antique store. On one trip while attending a French friend’s wedding, the fates aligned and she met the Frenchman she would marry… You’ll have to have her tell you how if it weren’t for her mother-in-law, she might have married a French Duke instead! Utterly smitten, Jennifer gave up her career in insurance in Boston and moved to Paris for love. Her life story is romance on a plate. Once living in Paris she returned to her roots, sniffing through flea markets finding trinkets and treasures helping to buy for her parents, doing personal shopping which led to her becoming a Diva Guide. Her particular passion is vintage fashion (she got her first Hermès when she was 13 years old!) and she knows every vintage Chanel shop in town! She’s also wonderfully down to earth and has a dry humor that will have you laughing before you even hit the shops. 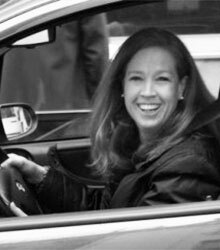 She loves nothing more than sharing with Diva clients the ins & outs of Paris, teaching them the metro, telling them where to go to shop, wine or dine (or not) and letting clients know inside details on life in Paris… Details you can only learn from a local! 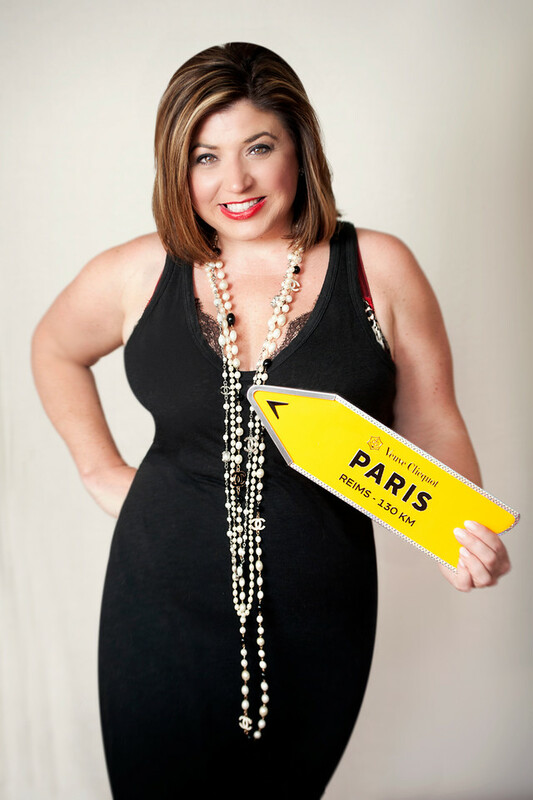 Debbie Gabriel – one of our Paris Diva Guides – is originally from Baltimore but has lived in Paris nearly 2 decades. And if anyone has their finger on the pulse of Paris, it’s Debbie. She knows which art and fashion exhibits are on, what the trends are – in fact in addition to working with The Antiques Diva® & Co she works as a Parisian buyer for some of the top companies in America (including Neiman Marcus). This means she doesn’t just KNOW the trends, she CREATES them. She’s a gourmand who knows what restaurants are in and which ones are out. She can always recommend a hidden get away for cocktails as well! She’s also wildly creative and charming which helps her get our clients discounts with antique vendors. When she’s not on tour, Debbie helps run and promote her husband’s Cognac business – one of the largest and most popular in France. Katie Phillips – one of our Paris Diva Guides – grew up in London, and studied history of art in both London and Leeds and after spending hours dreaming in front of the Manet paintings at the Courtauld, she’s now living in the city of art, Paris! Her reason for moving to Paris is one of two that you hear when talking to expats in Paris – love or work; in her case love. She fell for the French charm, that cute accent and the chance to swan around Paris on a scooter – how Audrey Hepburn, what girl could resist! She loves traveling, shopping, sipping a good glass of wine or an intricate cocktail, snuggling up with a good book and the dog on the sofa and especially wandering around the Parisian flea markets. Katie has a background in fine art transport and the running theme of her career has been customer service. She enjoys sharing her passion for fine art, antiques and a good bargain as well as showcasing why Paris is the best shopping city in the world. Caren Trafford is our Diva Guide in Provence. She is a passionate art historian and bestselling children’s book writer, who has made her home in an old stone mas overlooking the sea on the coast of Provence. 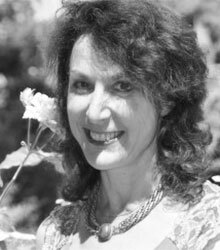 Born in the UK, Caren gained degrees in History, Art History and a Masters in Environmental Studies. Her “Grand Adventure” has taken her to the four corners of the globe having lived in Indonesia, Hong Kong, Australia, the Netherlands and now France. During her extensive travels Caren has gained an appreciation of many art forms and is always on the lookout for the unusual – the something special – antique to modern. Caren enjoys uncovering the wealth of treasures waiting to be discovered in Provence and can take clients to sources that are off the beaten path to find the pieces they are looking for. Tara Neuville is our Diva Guide in Bordeaux. Tara takes her antiques expertise to heart. Her antiques career began in Seattle where she worked as a dealer stocking her store through sourcing antiques abroad. When love intervened and she moved to France marrying a Frenchman and raising a family. She went to work at the Paris Flea Market leading antique buying tours. After 10 years scouring the antique markets of Paris, she took her expert skills to Bordeaux when her family relocated! She quickly became a fixture on the scene and can often be found making deals at the brocantesaround her hometown on the weekend. When working with clients two words describe Tara’s tours – High Energy! Once she understands what you’re looking for – she will custom plan your itinerary and then translate and negotiate to get you the best deal on antiques in Bordeaux! Her natural, friendly personality and networking skills give her access to a large portfolio of local dealers and traders in the industry. She has a talent for establishing authenticity and a keen eye for quality and condition. Tara believes the key to leading a successful antiques buying tour is about understanding the products and matching them up to the right clients and finding a price so that both parties – client and vendor – are happy. Her golden rules are honesty and integrity. 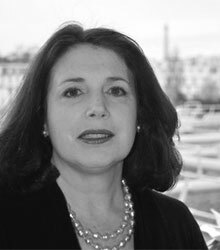 A native to Provence, Melanie Aus originally created and developed our Antiques Diva Provence Tours. An antiques dealer in Provence for more than 15 years… but her career in antiques actually began when she was 15. Melanie sold antiques to cover the cost of her first trip to the United States to study abroad in San Diego. She has both a law degree and an art history degree with specialization in paintings. Melanie’s collection at home includes everything from Picassos as well as engravings purchased in Bangkok at the Chatujak Market. In 2013 Melanie moved from her home near Cassis to Bangkok with her husband and son to experience la vie tropic. Each weekend for the last 3 years she has shopped at Chatujak… and is known locally as the Queen of JJ Market (as it’s known among the locals). When not antiquing Melanie works with Toma Clark Haines helping to design and develop their new jewelry line. Melanie’s special skills set is Trend Analysis: knowing what’s hot and what’s not in Bangkok and around the world is Melanie’s obsession. Gail McLeod is our English Antiques Buying Agent and she might just be the most connected woman in the world of antiques. In addition to working with The Antiques Diva & Co, she also is the owner of Google’s top-ranked antiques fair website Antiques News & Fairs and is the co-founder of Antiques Young Guns and organizer of Bath Decorative Antiques Fair. 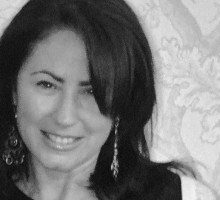 Her career in the antiques trade began as manager of Pennard House Antiques in Bath – the UK’s largest export trade collective for decorative antiques in the fabled days of frantic business. 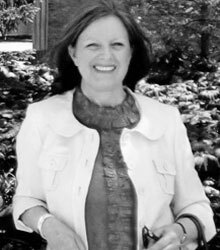 When Gail is not leading antique buying tours, she can be found at home near Bath, England gardening, enjoying time in her conservatory and enjoying her Cavalier King Charles Spaniels. Daniel Larsson is our native-born Swedish Divo Guide. Daniel enjoys helping clients find the right piece at their desired price point. With his extensive travel including trips to the US, England, India, Norway, Spain & Holland, Daniel comes to the table with an international mindset. When he’s not guiding Diva clients, he runs a very successful business called D.LARSSON Interiör & Antikhandelwhich deals in fine Swedish antiques ranging from 18th to late 19th century, specializing in high quality Rococo & Gustavian painted furniture, Swedish country & decorative items. 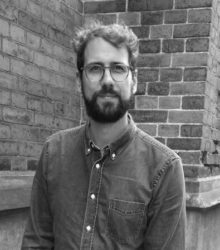 Daniel’s extensive knowledge of Swedish antiques is a huge asset to our company and to any client who books a tour with him, as he is sure to pass on some of his wonderful insights. When he’s not working, Daniel enjoys spending time with his wife and daughter and when you can pull him away from the antiques realm he can be found kitesurfing! 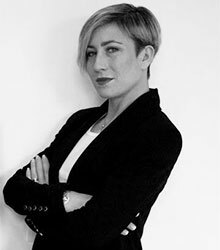 Orseola Barozzi Rizzo is one of our Antiques Diva Guides in Venice. She is a native born Venetian – and Venetian royalty. She was raised in the antiques trade as her great grandfather was an antique dealer and collector of exquisite art and her mother also operated a successful, eclectic antiques business. Orseola’s family has very strong ties to Venice and is deeply rooted in history as her family is one of the twelve famous families known as “apostolic” founders of Venice – her ancestor being the 5th Doges of Venice. Around the city you’ll find squares and ancient buildings named after her family. After living in London and Paris, she returned to Venice where she lives with her husband and son diving their time with winters in the Dominican Republic. She and our other Venetian Diva Guide Chiara operate an antiques business called O&C Antiques, specializing in antique textiles and rare objects. She loves taking clients on tour to share with them the unique combination that Venice is: architecture, art and food are the product of centuries of different cultures that have influenced Venice and its inhabitants. Venetians have always been travelers and this made possible this absolutely amazing mixture of styles, traditions, creativity. Chiara Zanella is one of our Diva Guides in Venice. Born and raised in Venice, she’s loved antiques since she was a child when she would literally find herself in tears whilst visiting the museums of Venice and discovering she wasn’t allowed to bring these beautiful treasures home. Chiara met her friend—our other Venetian Antiques Diva Guide— Orseola while attending the Academy of Fine Arts in Venice and discovered that Orseola’s family was in the antiques business. She started working for Orseola’s mother – a famed Venetian dealer – and learned about Venetian antiques and textiles along with Asian jewels and fabrics. 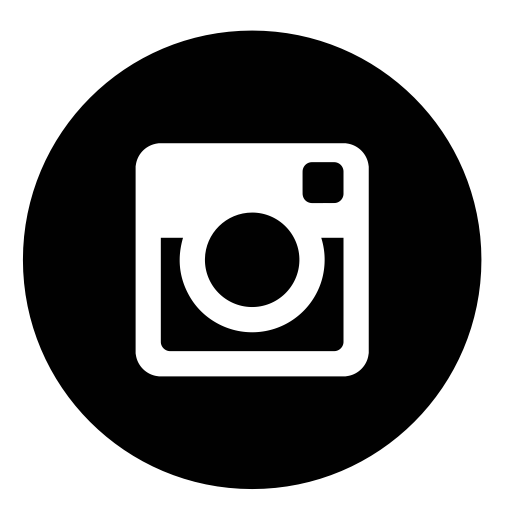 Having traveled and lived internationally, Chiara has returned to her native city and works in the fields of antiques and interior design when she’s not taking Antiques Diva clients on tour. As an Antiques Diva Guide, Chiara loves sharing all the aspects that make her city so special; when you visit Venice, you need an insider view to enjoy the city at its best, and that’s what Chiara offers clients. Besides antiques, Chiara loves visual art, design, and food. She loves Opera, jazz and rock music, her two dachshunds, practicing yoga, and most of all enjoying life and beauty. Désirée Marie Townley is our Antiques Diva Guides in Rome. 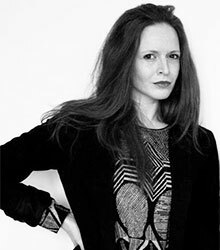 Costume designer, makeup artist, vintage fashion expert and author of the design blog The Cut and The Cloth, American-born Désirée lives in Rome, Italy. She started working as a costumer and makeup artist in the opera and theater industry after receiving her degree in dance she began traveling the world, seeking out artists and craftspeople to understand new cultures. Her eye for design, background in fashion and global perspective provide Désirée an insider’s knowledge for sourcing vintage fashion and antiques. It is these ‘twin peaks’ that interest me. As I travel the world and meet wonderful people who design and create, the question on my mind is ‘How is it made and what is it made of?’. I suppose this question also interests me in terms of the artists themselves. How does one become a weaver in India? What does it take to become a costume designer for Carnival in Venice? Who are these individuals and what are they making? I am learning. Lucretia Hunsucker is our Antiques Diva guide for Holland and Belgium. She was born in Flanders, studied Art History at the university of Ghent receiving her master’s degree. She now lives in the picturesque town of Breukelen, just 30 km southeast of Amsterdam. Lucretia’s unique skill is her eye for quality. She has the ability to walk into the room and immediately spot the best piece – often a piece discarded in a corner and forgotten – a hidden treasure. She loves nothing more than helping clients to find those rare and special pieces that clients are after. She enjoys interior design and has a passion for the early 19th-century period, called Empire and later Biedermeier. Lucretia’s also drawn towards the revival of the Fifties, Sixties, and Seventies: a great period in fashion and interior design. She likes to mix Biedermeier mahogany with the bright colors and funky shapes of those glorious, much more recent times making antique feel modern. Mariska Meijers is a Dutch artist and designer, renowned for her signature vibrant colors and bold patterns. Based in Amsterdam, Mariska moved to Holland 15 years ago, has lived and traveled across Europe and Asia, is an avid traveler and collector, and loves to share her hometown with visitors and introduce them to her local sources and contacts. She has grown her art and design studio into a global lifestyle brand sold through luxury department stores and small boutiques in over 30 countries. Her store/design studio in the historic city centre of Amsterdam is a hidden gem, located in the basement of a 17th century canal house on Keizersgracht 158 it is filled with her own collections and art combined with original finds from all over the world, including art, antiques, vintage, lighting, jewelry and much more. Mariska’s work has been featured in traditional and online media, including VOGUE.COM, The World of Interiors, Architectural Digest, Homes & Gardens, House&Garden Marie Claire Maison, Domino, ELLE Decoration, ELLE DECOR, LivingEtc. Frederik Aers is a native Belgian hailing from Brussels. He’s also lived in the Flemish part of Brabant and now resides in Antwerp. He is one of our Divo Guides in Belgium, North of France, and The Netherlands. He’s always had a passion for antiques and design. In fact, when he was just a small boy he would constantly be drawing houses, building villas with blocks and collecting articles on interior design, antiques, and gardens. Today, along with our other Divo Guide Phillip, he operates a boutique hotel in Antwerp called JVR108. 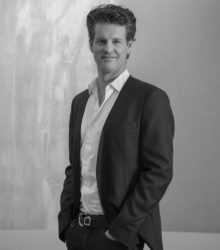 Frederik enjoys taking clients to see beautiful places where they can find special antiques and objects d’art. When not on tour with The Antiques Diva & Co, he loves to travel and experience different cultures which gives him inspiration. Touring interiors which reflect the personality and tell the story of the people who inhabit them is a favorite activity for him. Frederik believes that a well-combined collection of objects and furniture tells a story and this is part of why he loves taking people on Antiques Buying Tours! Felix Bachman has been working in furniture restoration and trade for 15 years. 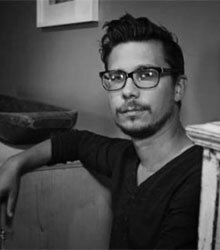 In 2011 he founded his own company in Berlin, Felix Bachman, specializing in antiques and mid-century modern furnishings, as well as pieces of his own design. His experience in dealing with forms, colors and textures benefits his furniture restoration and creating his own works of art. He attended West Dean College/Sussex University in Chichester, England; studying Conservation – Restoration of Furniture. Chicago-born Angela Somwaiya has lived in Bangkok for 24 years. She holds a bachelor’s degree in Japanese Studies and master’s in Thai Studies. Angela is the mother of 2 teenage daughters, Sofia and Anya, and is married to a Thai lawyer. In 2008 she took over Paul’s Antiques which has built it’s reputation as having one of the leading collections of colonial-era Burmese teak furniture. Since acquiring the business the collection has come to reflect her tastes and love of unique market finds throughout Asia. Innovative and entrepreneurial by nature, Angela developed a bespoke furniture service using reclaimed teak and enjoys up-cyling and repurposing found items. Angela is considered one of the leading experts in Southeast Asian antiques. When not criss-crossing Asia sourcing for her store as well as Antiques Diva clients, in her spare time she enjoys studying psychology and spirituality, practicing yoga and dancing, and has actually appeared singing on stage as a “diva” in several operas produced by Opera Siam. Angela’s favorite part of being a Diva Guide is traveling with clients and sharing her insights into local culture. Trust this Diva Guide when it comes to ordering the best possible meal combinations in local restaurants… if Angela were not a Diva Guide should be a Food Concierge! 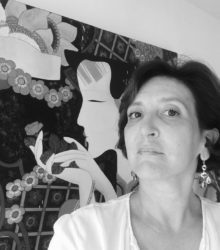 Marilyn Forse is Australian born and living in Bali. 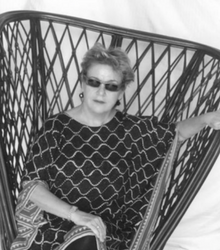 As a long time retailer and writer Marilyn is an expert in all areas relating to shopping and sourcing antiques, custom furniture and art in Bali and throughout Indonesia. 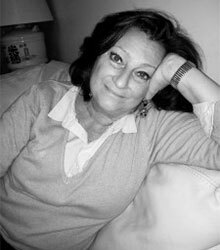 Marilyn describes her life as a ‘Tour de Force.’ Born and raised in Australia, she has been fortunate to have travelled the world extensively and lived in the UK, Canada, Africa and Hong Kong. During her career in retail – retail buying, managing and marketing for a major department store, shopping centres, boutique chain stores and a farmers & merchandise market – she fell under the spell of Bali and found an opportunity to relocate there and became a Bali specialist. When not leading Antiques Diva Bali tours, Marilyn is writing about the many artisans, manufacturers, antiques and resources found in Bali. Doni Belau, founder of Girls’ Guide to Paris is a recognized and published French travel expert and author of the book Paris Cocktails. It followed suit that more recently she began importing French antiques from her discoveries around her home in the Southwest of France and beyond. She specializes in French and other European antiques and vintage items ranging from large pieces of furniture, unusual artifacts, 19th and 20th-century art as well as vintage smalls and collectibles and even some mid-century pieces. She divides her time between her apartment in Brooklyn, her place in Paris and her home near Bordeaux, France. Margaret Schwartz joined the Antiques Diva team first as a buyer in 2014. Her love for antiques blossomed after that initial buying trip with Diva Guide Gail Mcleod in England. Her passion for antiques continued to grow and after starting her career with Martha Stewart Living Omnimedia she struck out on her own and she now owns a brick and mortar shop in the suburbs surrounding New York City, The Summer House located at 107 Cherry St, New Canaan, CT. The store has a mix of antique and new design. 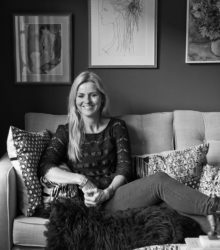 Having traveled throughout Sweden, France, England and Belgium, Margaret has her pulse on the mix of modern applications of antiques in interior design. Her shop exhibits this mix beautifully. Winning the inaugural US Antiques Young Gun of the Year award in 2016 inspired Margaret to expand her role in the antiques community, expanding her collection further taking up space at the well known Antique and Artisan Gallery in Stamford, Connecticut. 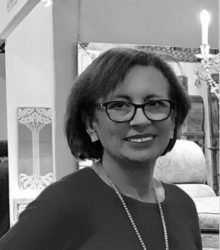 Margaret was invited to join LAPADA in 2016 as well, an international organization representing over 550 antiques dealers in the UK, across Europe, and a select few in the USA. Margaret’s passion for life does not stop at antiques, she commits her spare time to her family and friends as well as volunteering her time at a local rescue shelter in her town of Ridgefield, Connecticut. When she’s not helping those puppies, she’s loving her own two rescue dogs, Wally and Rusty, while taking on the world as the “Modern Antiquarian”. 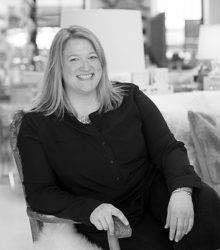 Tamara Matthews Stephenson is excited to take her extensive experience working with antiques to the Antiques Diva & Co in the United States market. 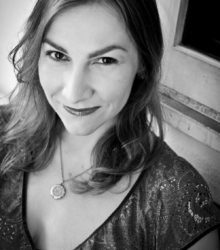 From an early age, Tamara was exposed to the industry, and growing up she spent most weekends at Market learning the business with her father who was an antiques dealer. Now an interior designer, Tamara feels passionate about incorporating antiques and vintage pieces into her homes and the homes of her clients because these special items with a past and a patina help to give a home a sophisticated, lived-in appeal, adding culture and layering. Tamara believes antiques are the jewels that make a home special and tell a story about the homeowner, their travels and their interests. Since 2000, Tamara Stephenson has been busy creating beautiful interiors for clients. Tamara has fine-tuned her aesthetic, which some have referred to as “sophisticated cottage.” Nest by Tamara,and since 2015 the co-owner of textile and wallpaper company, root cellar designs. Her interiors are a medley of modern furnishings, accessories and eclectic art which she combines with antiques and vintage finds, and they are layered yet well edited to reflect the client’s personality. Tamara uses her astute observations to bring the finest combinations of wares to each project. Additionally, she is regularly invited to speak at design industry events to share her expertise on the subjects of interior design, entertaining and the international design markets. In 2014, Nest by Tamara blog was voted #1 design blog by Modenus for the TOP 100 DESIGN BLOGS.